AC2000 WEB Dashboard is a central data gathering application providing instant access to information regarding key elements of the AC2000 access control system. System operators access the information through any readily available web browser such as Internet Explorer, Mozilla Firefox or Google Chrome. 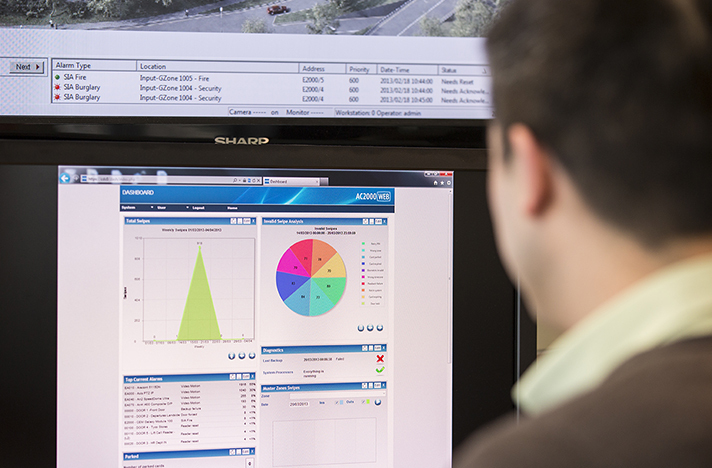 Information including usage statistics, trending, occupancy, top alarms, card information, licensing, average times taken for alarm acknowledgment / cancellation and system diagnostics are presented to system operators via a range of dynamic graphs and tablets. The dashboard can be customised and customisations can be linked to specifc users and saved for the next time they log in. 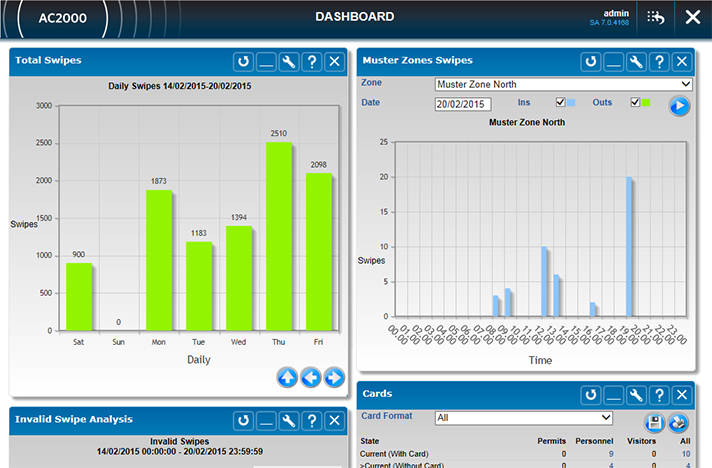 The benefit of the AC2000 WEB Dashboard to customers is the ability to view essential data in one centralised location that can be easily accessed at any time. This makes maintenance and management of the AC2000 system more user-friendly and efficient. WEB Dashboard Widget Allocation allows for the creation of new groups to which widgets are added. Using the AC2000 WEB Dashboard Widget, groups can be configured to allow the system administrator to allocate access to specific widgets only to certain AC2000 users. The widget group is then assigned to users via the AC2000 User Options application. This gives greater control over access to certain vital system data and allows for the viewing of this data by authorised personnel only.